Linseed oil also contains lecithin, vitamin E, and lignans - hormone-like substances that have an antioxidant effect. Especially these fatty acids that are not filtered, are the most important active ingredients for this product. Linseed - oil for a shiny coat, in order to prevent gastrointestinal disorders, to increase dynamics and it strengthens the immune system. 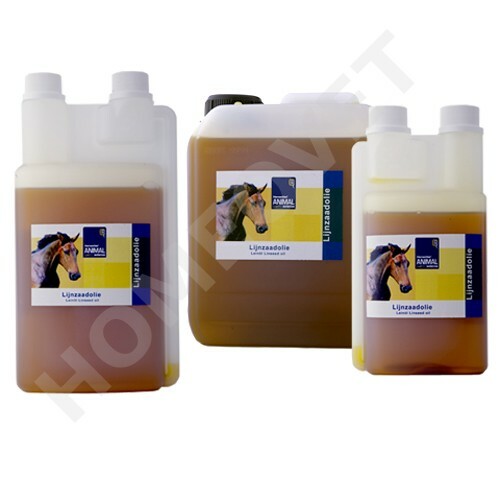 As an energy source it is ideal for sport horses, with the added advantage of muscles recovering quickly after exercise due to the high content of Omega 3. Ponies and horses 2 tablespoons daily through the feed.